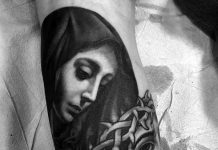 Tattoo artists around the world are on a constant lookout for new designs which they can use in their art form. They consider the aesthetic appeal as well as symbolic value while making use of a particular design element in their creative designs. 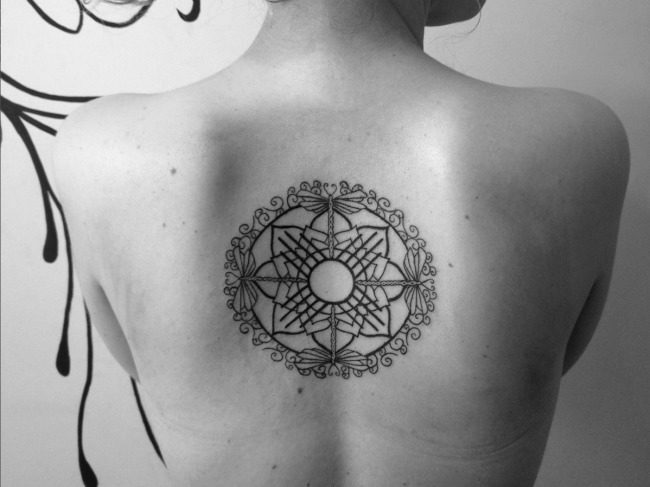 Some natural objects such as flowers, animals, fish, celestial bodies and waves occupy a place of significance in tattoo art. 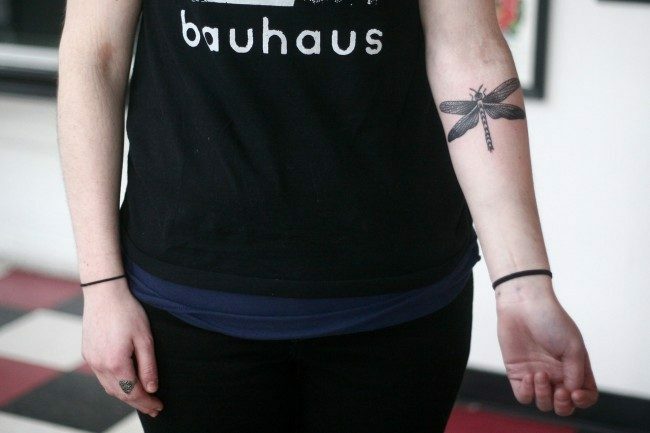 Even tiny insects can be used for this purpose, out of which dragonfly tattoos are one of the most alluring design options today. 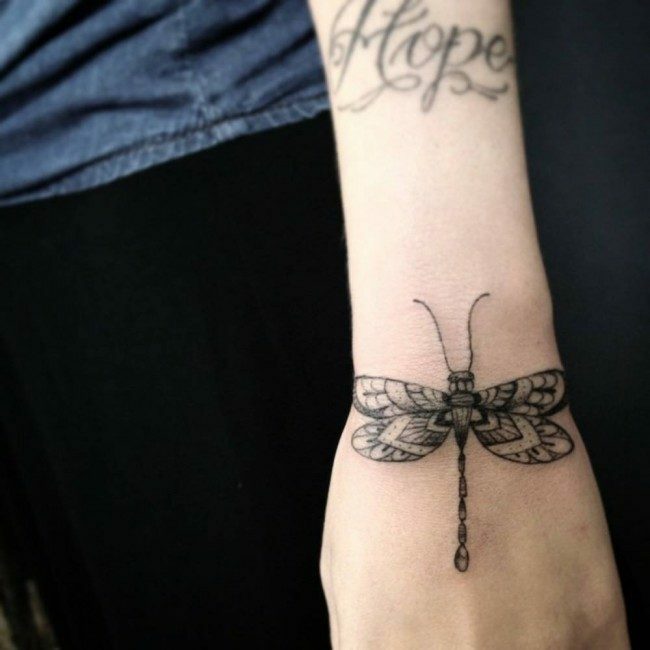 These vibrant insects exude elegance and charm and there is something mystical about them, which make them a great choice for discerning tattoo lovers. The dragonfly art has made a place of popularity among women since the nineties, as this was the period when liberalism and gender equality came on the forefront on a global scale. But the popularity of this design is no longer confined to women, as more and more men are also desirous of having it etched on them. 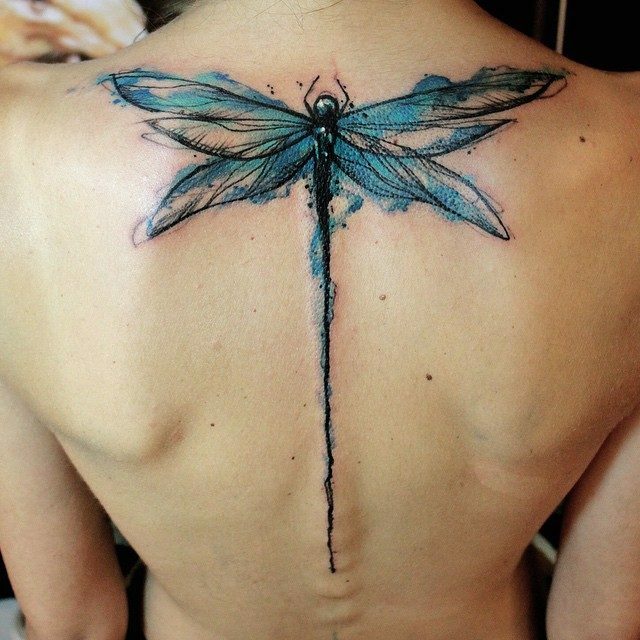 In the entire world, there are great numbers of tattoo artists who are looking for unique yet extremely gorgeous designs for tattoos, causing the dragonfly tattoos to come out. Yes, you guess it right. 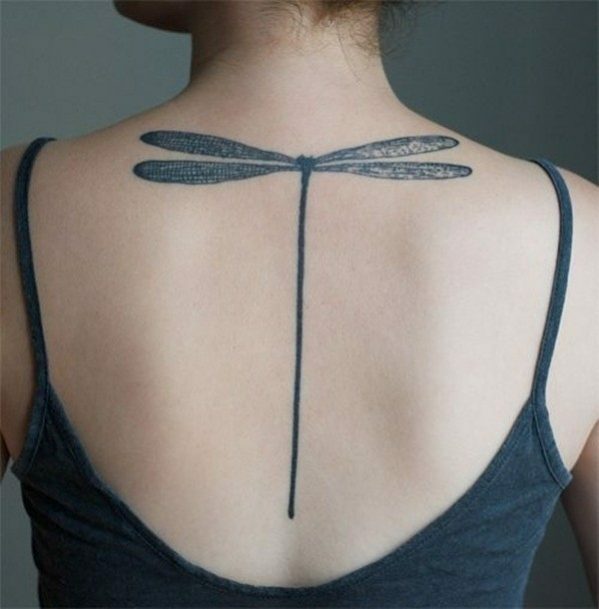 Dragonfly is one of those great tattoo subjects that is worth engraving on human bodies. This is one good alternative for those common tattoo subjects such as celestial bodies, fish, animals, and flowers. 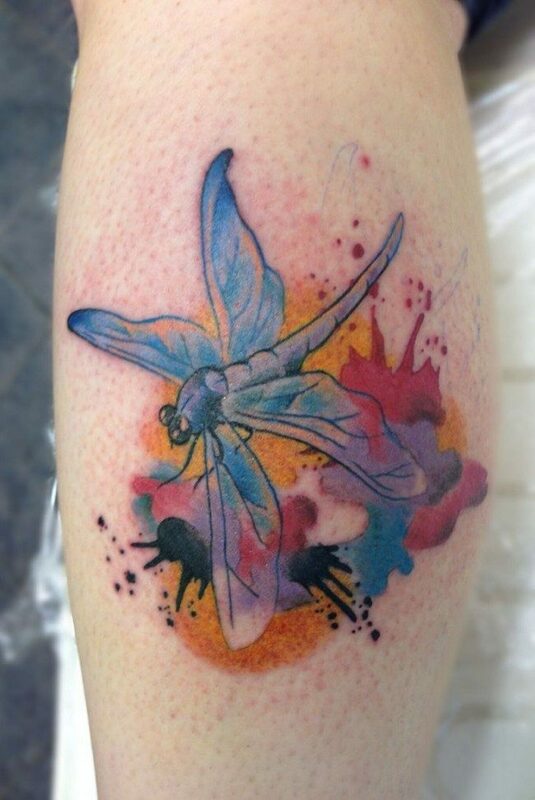 Dragonfly may be an insect, but it cannot be denied that it has a very gorgeous appearance making it to be a good subject for tattooing. 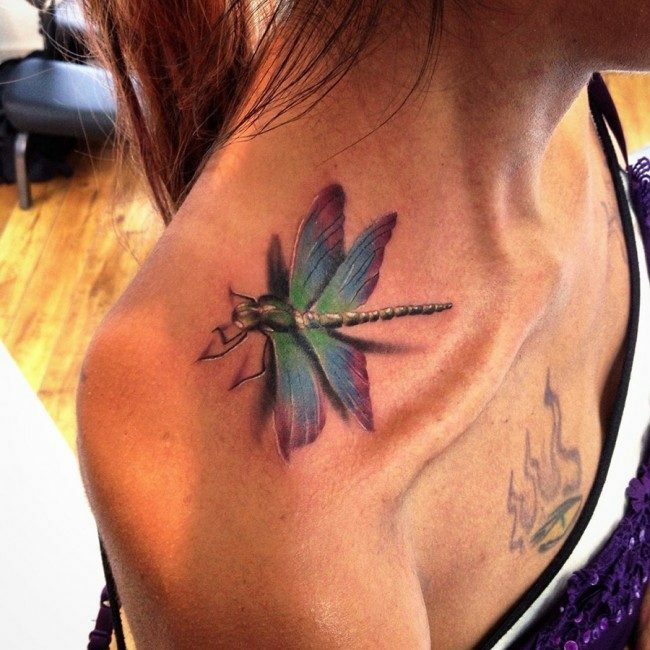 Since the 1990s, a dragonfly designed tattoo is a very popular choice among numerous women in the world. 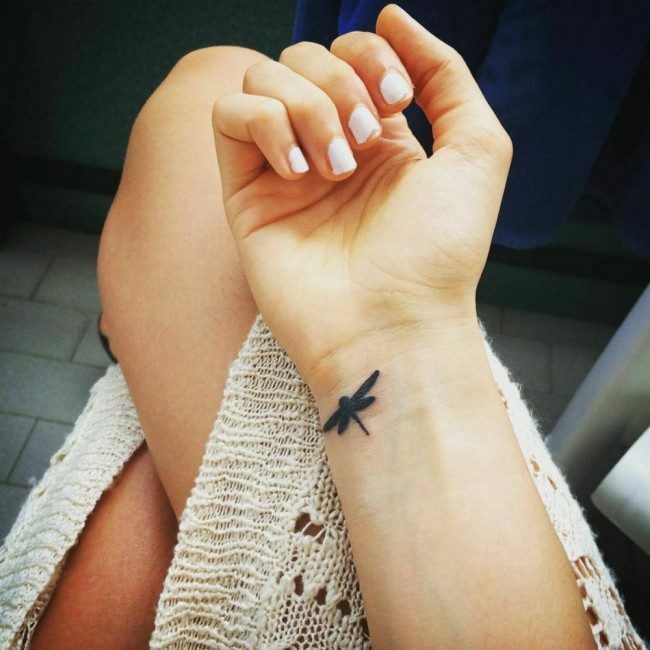 Like all other tattoo designs, the symbolic significance of dragonfly tattoo also needs proper understanding before having it etched, as a tattoo is something which demands time, money and patience and is going to be with the bearer for a lifetime. Talking about its meaning, one needs to take a close look towards its life cycle, which starts in stagnant water as a female lays eggs there in large numbers. After this, the eggs hatch and the insects starts its life cycle in water, which relates it with fertility. The insect is also linked closely to the butterfly, another flying creature regarded for its beauty and bright colors. Various cultures around the world see the dragonfly in different light symbolically. Japanese Culture – In Japanese culture, this tiny and bright looking insect is related with strength and happiness, which presents it as a positive force. Chinese Culture – Chinese consider it an insect of prosperity and harmony while other Asian cultures take it as a symbol of metamorphosis and transformation, as the insect passes through various stages of changes during its life cycle. Don’t forget to check Maori tattoos collection? Native American Culture – Dragonflies occupy an important place in Native American art and culture too, as it is seen as a symbol of swiftness and happiness in some of the tribes of the culture. They are seen as a protective talisman in some tribes and it is believed that they oversee all the members of a tribe. They even signify facing hardships and overcoming losses with strength and courage. We recommend you to also check Biochemical tattoos collection. 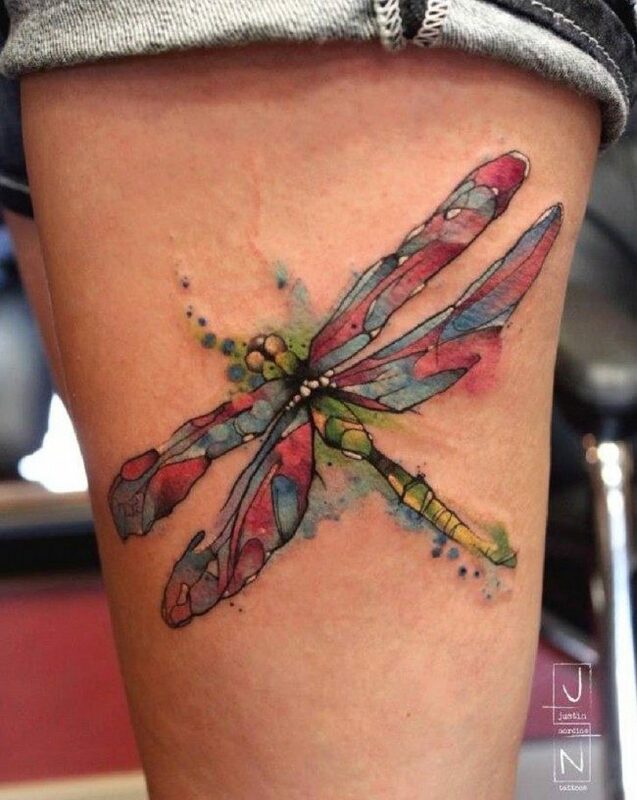 Modern Culture – In modern world, dragonfly art tattoos are revered as a symbol of speed and agility, which is a characteristic attribute of this small, little insect. They also stand for freedom and good luck. The insects start their life cycle as an egg, becoming a nymph and finally making it as a beautiful and vibrant adult, which links it with beauty and charm. 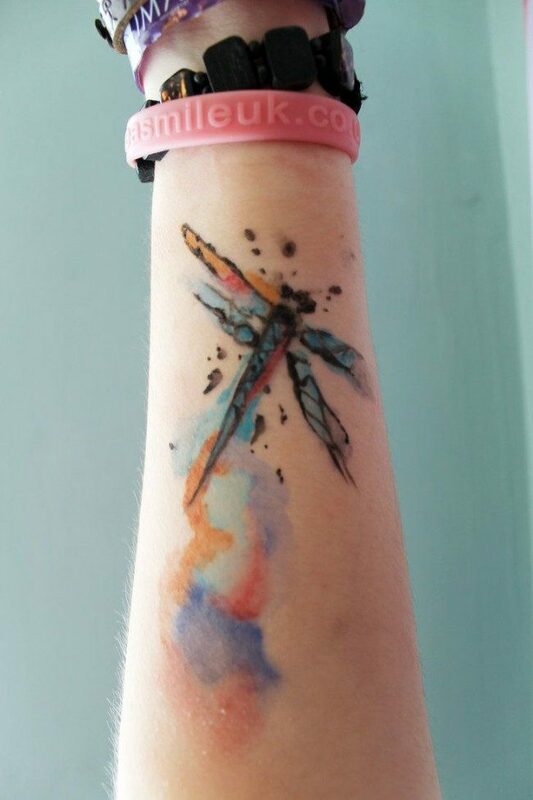 Overall, men and women of all age groups and from around the world love the dragonfly art tattoo design because of its positive symbolism as it keeps reminding them that one has the capability to face all the struggles and hardships of life and emerge as a complete and beautiful individual, if one keeps the right kind of attitude. Would you like to check our hand-picked collection of White Ink tattoos? Native American Culture – Just in case you do not know, there are a number of Native American tribes that incorporate dragonflies into their lives. 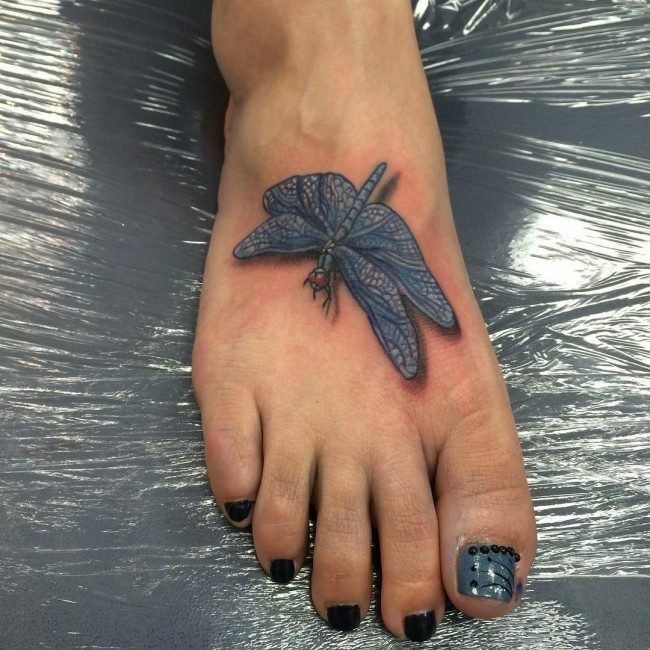 These insects are sacred to them, which is the reason why most of these people are engraving a dragonfly designed tattoo on their body. For them, this is an appealing art that they can have on their body. 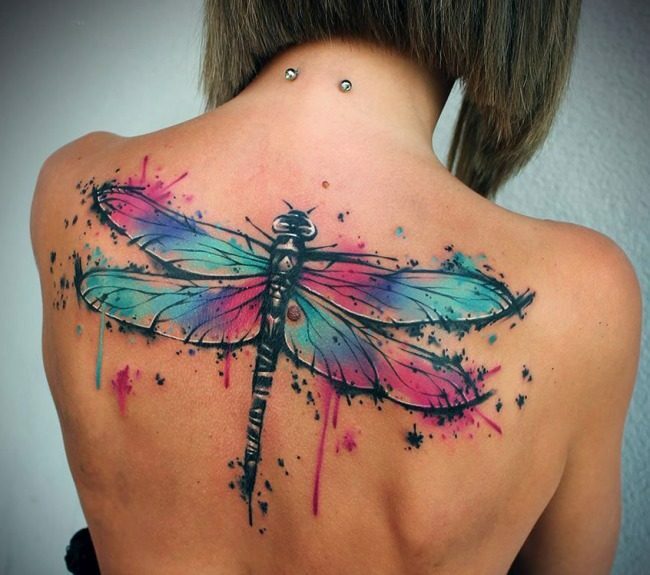 In the Native American culture, a dragonfly art simply symbolizes happiness and swiftness. 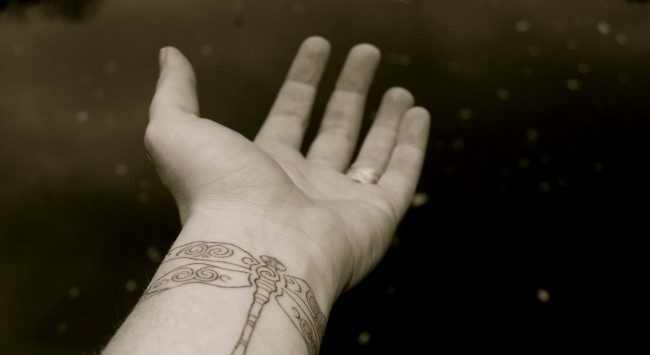 The tattoo is considered by many Native American people as a good talisman that will guide them wherever they may go. According to these people, they can successfully overcome any trials in their lives with the help of such tattoo. Japanese Culture – Japanese people are some of those individuals in the world who commonly get to have dragonfly art since dragonflies to them are insects that have something to do with their lives. They describe dragonflies as bright looking tiny insects. 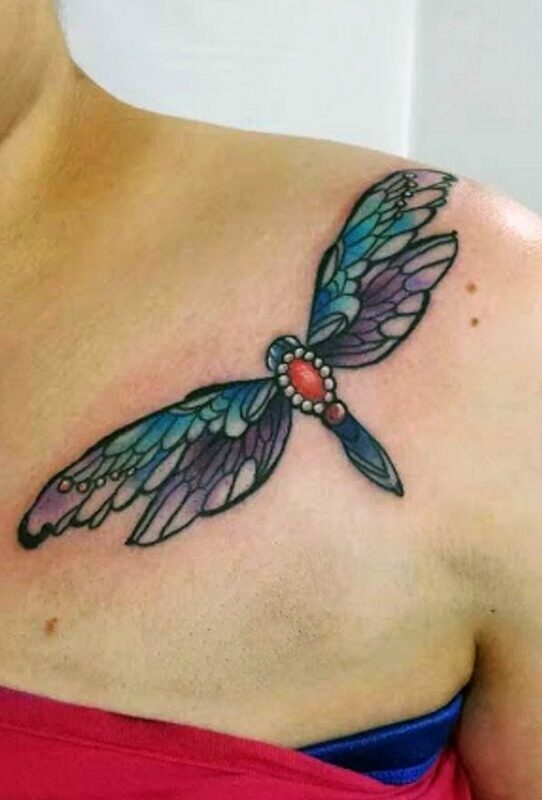 This is the reason why a dragonfly designed tattoo to them brings a positive energy that can keep them going in their lives, no matter what. The Japanese culture believes that this tattoo signifies happiness and strength. Chinese Culture – Another culture that considers dragonflies extremely significant in their lives is the Chinese culture. Chinese people strongly believe that the insect has a very important role in their lives. As a matter of fact, they consider a dragonfly as a magnet for harmony of Chinese people and a great symbol for prosperity. European Culture – Even though a dragonfly is considered by many cultures in the world as a bringer of positive force, this is actually not the case with the European culture. There are a number of people who are living in the continent of Europe that consider dragonflies a symbols of devil and evilness. 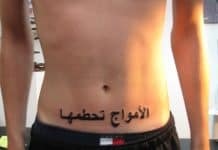 This is the reason why Europeans who have this tattoo are known to be bad guys. In addition, there are still more Asian cultures that are being associated by dragonflies. These cultures have this common belief that a dragonfly symbolizes transformation and metamorphosis. The obvious explanation for this is that a dragonfly goes through the process of metamorphosis as a very important cycle of the insect’s life. 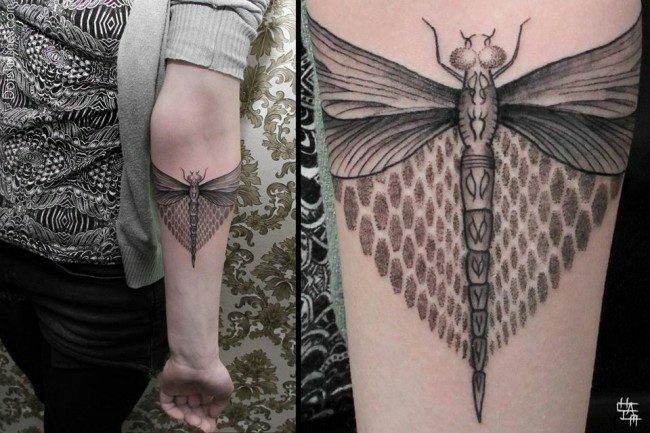 Evil Dragonfly Design – If you want to warn other people about the evil side of yourself, then having such design engraved on your body is absolutely perfect. Of course, the entire design involves an image of a dragonfly and some designs that will make it evil such as skull and horn. 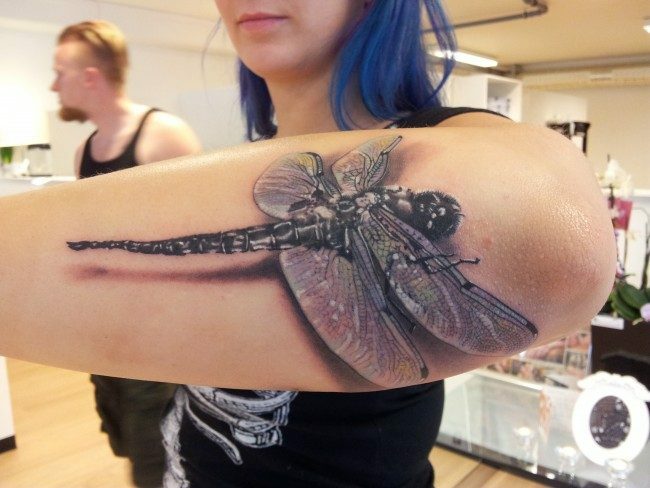 You might find it a scary choice of a dragonfly art, but it is definitely stunning as far as tattoo art is concerned. 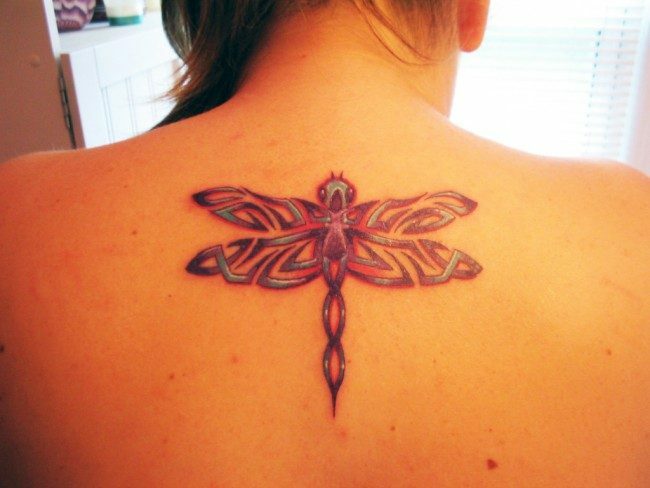 Tribal Dragonfly tDesign – A tribal design for such tattoo is a very common one. A lot of men worldwide have been preferring this art. This is simply because it can add a considerable amount of masculinity on their presence specially towards the opposite sexes. A tribal design is known for its solid colors like grey and black. 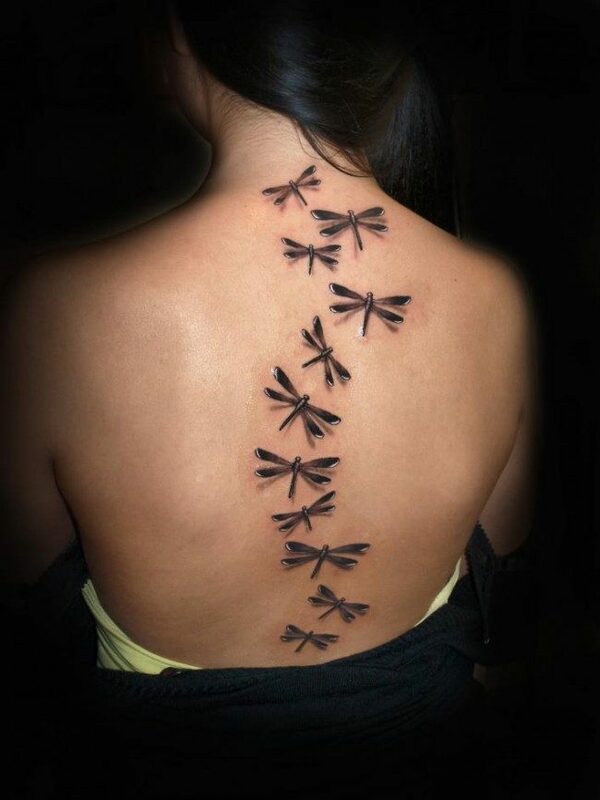 Sequential Dragonfly Design – As its name suggests, this design involves a series of dragonfly images that seems to form a line on your body part. 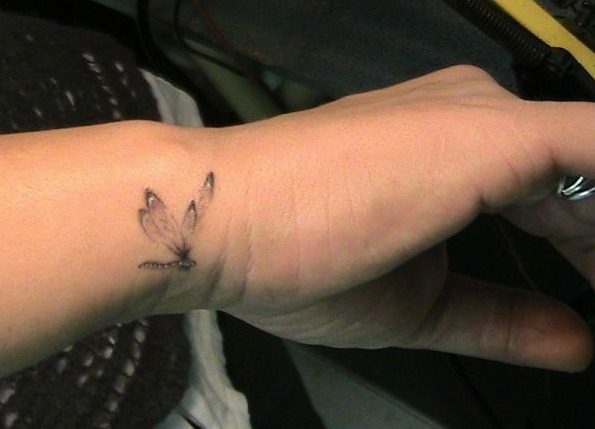 This tattoo will look like a moving dragonfly art, which will surely look great. 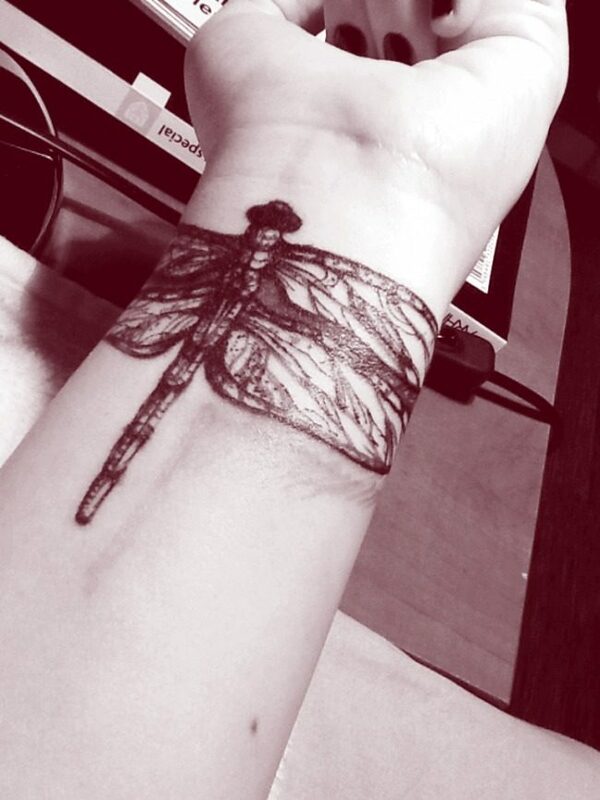 You can choose to engrave the metamorphosis experienced by a dragonfly, from a little one to a big dragonfly. 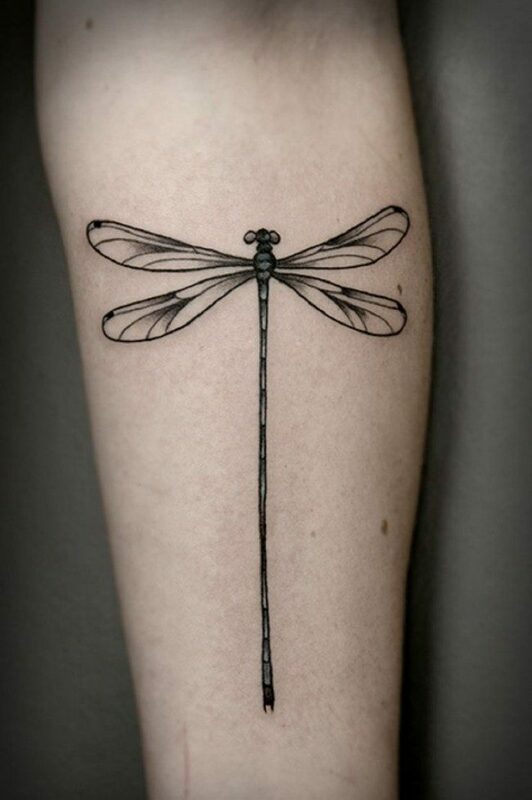 3D Dragonfly Design – Without a doubt, this is the most popular design of a dragonfly art tattoo nowadays since this will have a very modern look. The fact that the design is made 3D excites a number of tattoo lovers in the world, specially those young ones. 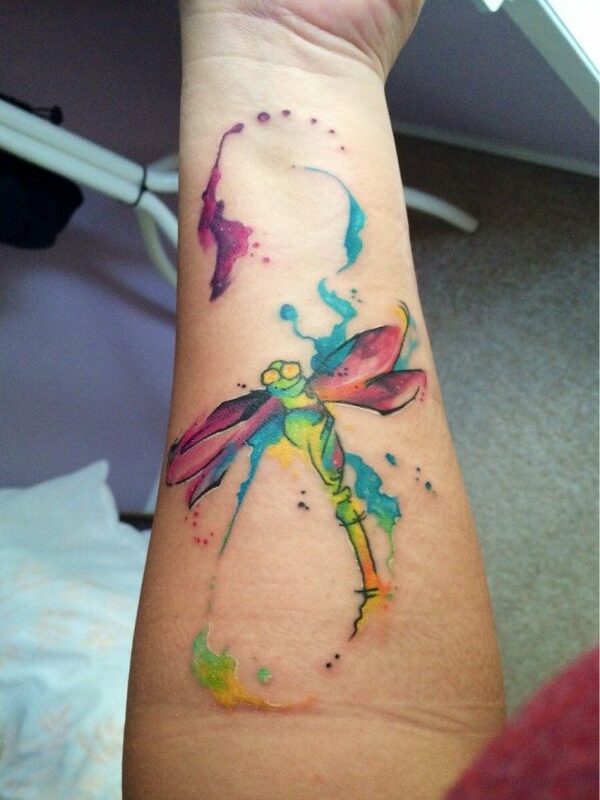 Since it is 3D, it would look like a very realistic tattoo. A dragonfly art is usually done in a vibrant and colorful fashion, which makes the design quite attractive and eye catching. 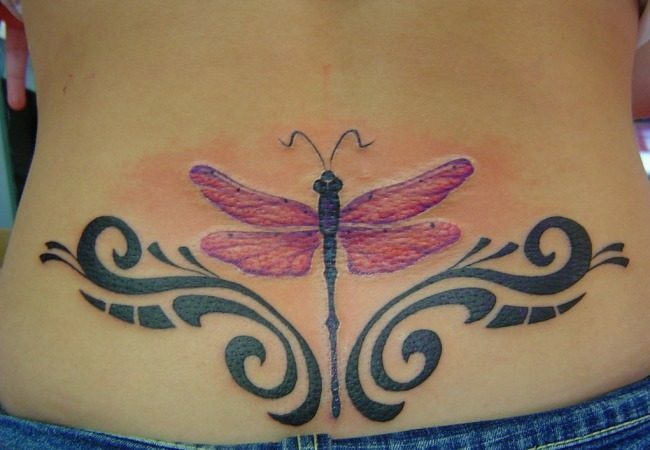 The most important aspect of gaining attention for a particular tattoo is its right location and placement. 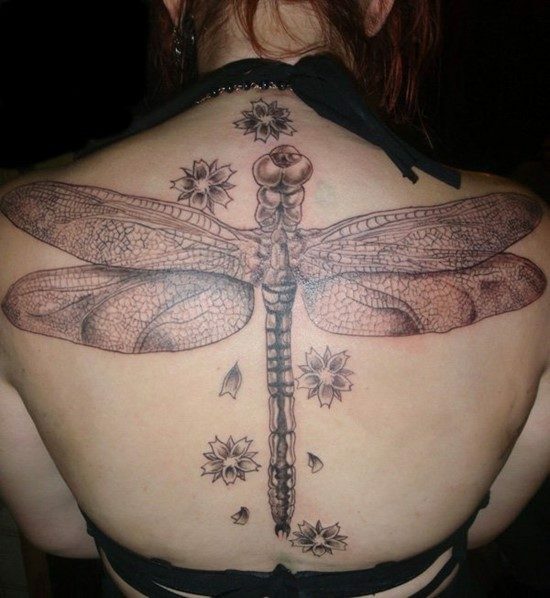 Since dragonfly art tattoos are not of very large size, this gives them a great versatility when it comes to placement. They can be borne on chest, back, shoulder, arm, wrist, ankle, thighs, finger, neck and back of the ear, depending upon the size as well as intricacy of the design. Also check our latest collection of Henna tattoos. 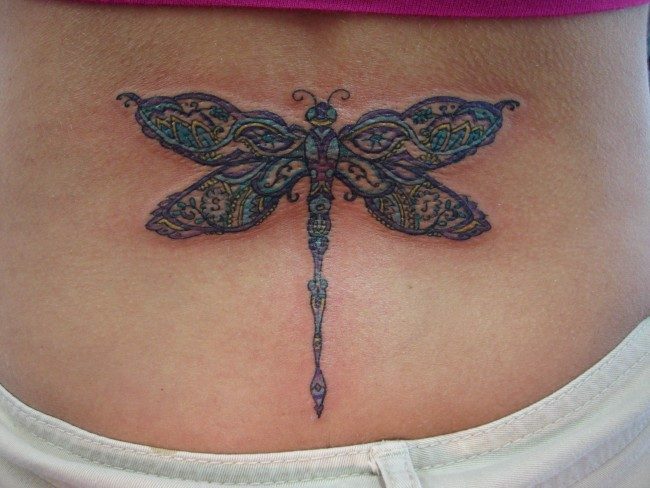 Tribal Dragonfly Art – This is the tribal tattoo design, which is done in solid colors such as black and grey and is preferred by men folk due to its masculine looks. On the other hands, women may like more delicate and colorful designs, which are colorful and subtle in looks. Sequential Dragonfly Art – The sequential design which depicts the movement of these insects, with a number of them drawn in a series on the locations such as arms and legs. Worded/Photographic Wing Dragonfly Art – In such a design, the wings of dragonfly may carry some text such as name of a loved one or a beautiful quote or poem. They can also bear a picture or photograph according to the requirement of the bearer. Evil Dragonfly Art – The evil dragonfly art may present this lovable insect in a totally different way, highlighting the evil side of its character. It may feature rough edges or something as weird as bat wings. Don’t forget to check our collection of Day of the Dead tattoos. 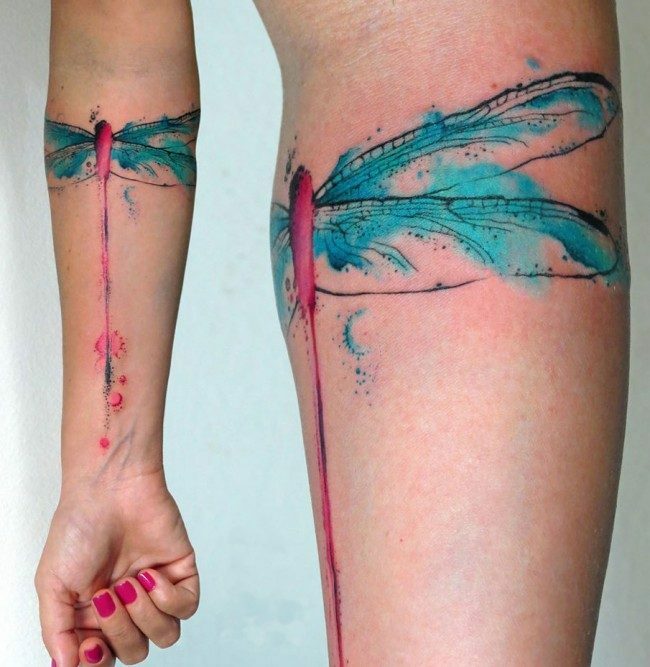 Some other design elements such as dreamcatcher, anchors, arrow, infinity, compass, feathers flowers and vines can be incorporated in the dragonfly art tattoo design to give it a unique look, while the right use of colors may also create a different impact. 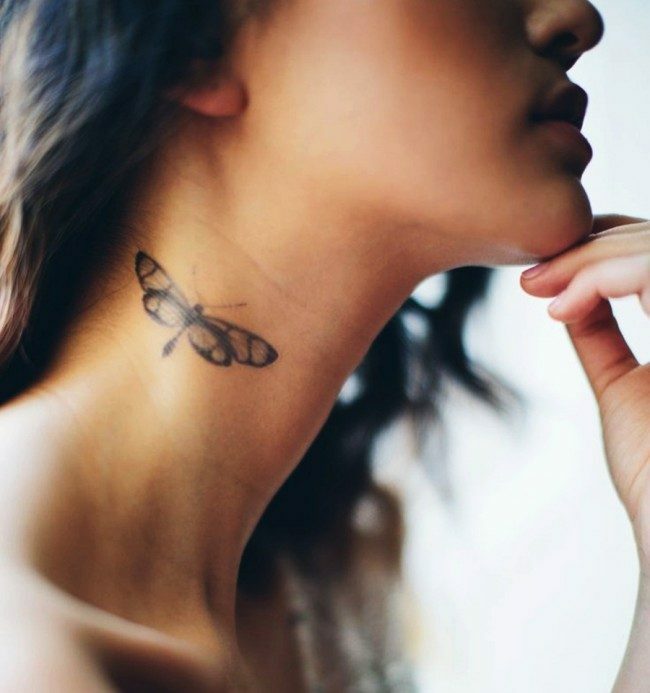 Due to their cute size, you can ink a tattoo on your back, chest, neck, and wrist or behind your ear. They are suitable for both sexes. 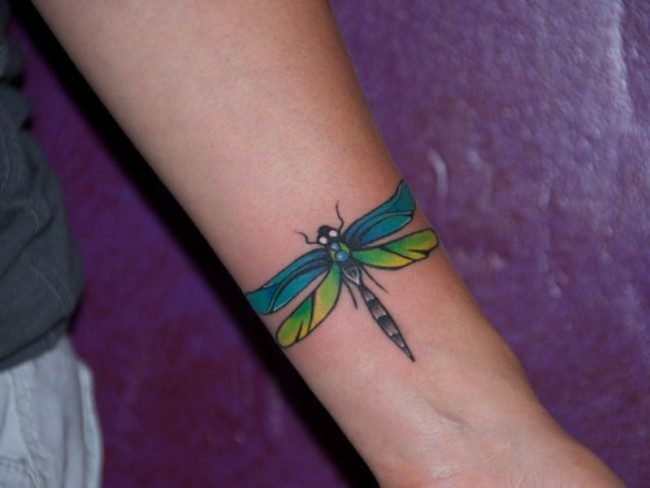 If you need larger Dragonfly art tattoo design, you can opt on your shoulder, back, thigh, hip, the side or the arm. And if you need a smaller size you can consider your wrist, fingers, and the back of your neck or the ankle. 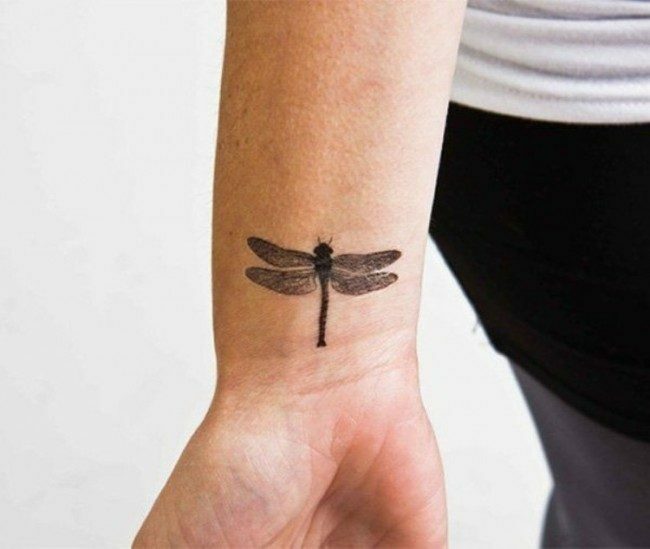 Dragonfly tattoos are something that you should take into account if you are thinking of having some tattoos on your body. There is no way you cannot choose a design that perfectly fits for your personality and physical appearance since such tattoo is available in various designs. You can choose to have a 3D tattoo design or those that are associated with some other fantasy-themed designs. It is all up to you. Just make sure that it is all worth it for you.